One of the hot topics here on the blog over the last year has been thyroid health. 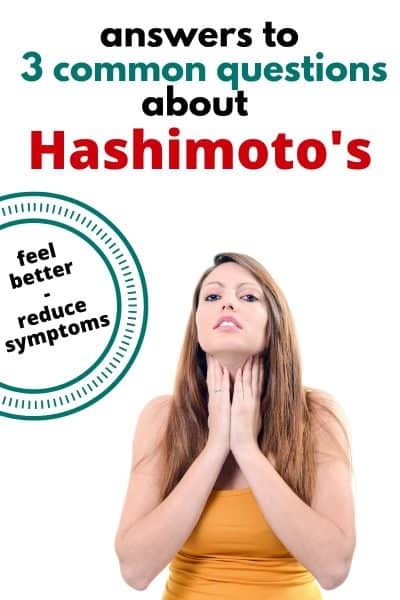 So many of us deal with issues regarding our thyroid, whether it’s slightly slow, hypo/hyperthyroidism, or a full-blown autoimmune disorder like Hashimoto’s we’re all looking for ways to get it to function better. And of all the issues, it seems that many of you are struggling to find help and resources for dealing with Hashimoto’s as most doctors don’t fully understand it (or even test for it!). You might have questions about Hashimoto’s or hypothyroidism and I’ve got answers for you! When I look for answers, I often look to people who have “been there, done that”, those who have been able to deal with the same health issues and overcome them. 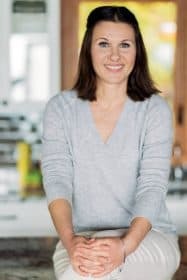 For Hashimoto’s questions, I always check with Magdalena, a Certified Holistic Health Coach accredited by the American Association of Drugless Practitioners, who dealt with Hashimoto’s herself and now lives a symptom-free life. It’s great that so many of us make these life-altering nutritional changes. For many, however, they do not produce desired results and this is when frustration and doubt step in. If you have Hashimoto’s Thyroiditis and/or any other autoimmune condition, chances are that you have had digestive issues or infections that triggered these conditions a long time ago. Integrative doctors say that we walk around with Hashimoto’s for an average of 8 years before getting diagnosed. During this time, the digestive lining gets damaged by the food we do not tolerate well (see more on this below), pathogenic bacteria, yeast overgrowth (aka candida) and parasites. Any of them can be the trigger for an autoimmune condition. So yes, gluten, dairy, and soy are considered big food triggers but, for many people, there may be more. This is one of the first sentences that I hear from people who contact me. It’s not surprising; after all, if they did not eat well and have a love and appreciation for good food and nutrition, they won’t be searching for diet and thyroid-related solutions. There are a couple of challenges with this belief: what does “eating well” really mean? Many people would perceive, for example, protein powders, to be healthy food. In my practice, I see amazing results every time I switch a person from the “miracle product” marketing claims to real, unadulterated and whole food. However, the bigger issue is this: for people with autoimmune conditions it is not so much what we eat but what our body does with the food we eat. Take eggs as an example. 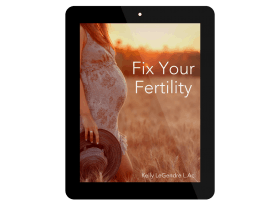 They are one of the fertility superfoods, in fact, they are so rich in nutrients that we can survive eating eggs and nothing else. However, if our body does not tolerate eggs well they become a toxic substance that will inflame the immune system even further. Sadly, the list of “good food” that many people with autoimmune conditions cannot tolerate is long and can include dairy, corn, soy, nuts, seeds, nightshade vegetables, legumes, and grains. A simple elimination diet would help reveal what food a person is reactive to. For a person with an autoimmune condition, it is of paramount importance to remove food that causes digestive distress. a. Even if you lost your thyroid, the meds you are taking depend on your gut and your liver for proper breakdown and absorption. 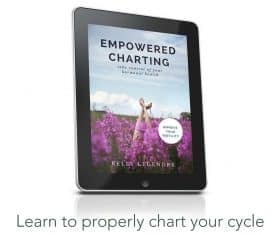 I found your site researching progesterone. Around the 19 -21st day of my cycle, all hell breaks loose. I once was going to take a saliva test to measure my hormones, but my ND at the time suggested testing my digestive system first and a food allergy test and the tests are expensive and not covered by insurance. I have a feeling that I have low progesterone during this time when it should be high or perhaps estrogen dominance. I noticed the page on progesterone mentioned thyroid issues. My previous ND ran tests and said I had what looked like Hashimoto’s or the beginning of it. I have high antibodies and one of the thyroid tests were off but not the figure regular MD’s pay attention to. I’ve been avoiding gluten for six years now, although sometimes i cheat with something that’s been breaded or regular beer. For the most part i try to steer clear. Before that i had terrible digestive problems. I also avoid most dairy except hard cheeses because they do not give me digestive issues. Anyway, my insurance only covers MDs now. My MD does not see a problem even though i described all the symptoms and the antibodies test came back high again. There is a problem. And she told me to get on an antidepressant and take allergy pills everyday. This is exactly why i’ve been going to ND’s but nothing is covered – supplements, tests, now even doctor visits. I don’t know which comes first – thyroid problems or other hormone imbalances. I have a normal cycle but very few days of bleeding, and a very bad PMS mood-wise. I need help and I don’t know what to do at this point. And sometimes women have issues during their cycle when it changes from being high in estrogen to high in progesterone. Some have found supplementing with magnesium to be really helpful, so you may want to look into that. There are herbs that may be helpful too, but it’s best to work with an herbalist if you’re also dealing with an autoimmune disease.